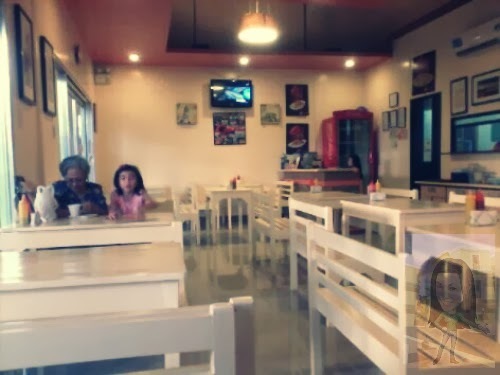 Everyone has been to this place at Matina Town Square. 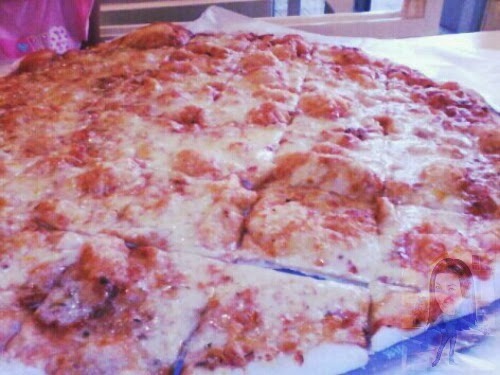 However my youngest daughter and my mother wanted to try the giant, yummy and crispy pizza I shared with my group Dabawenyo Ka Kung members last 2011. 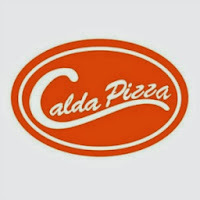 They have never been there but it was already in our bucket list for pizza at CALDA. It was about a 15 minutes ride from our home(including the traffic). It was a Monday afternoon so there were lots of cars in the area, students are getting home already from Ateneo Grade and High School Department so the situation is very congested. 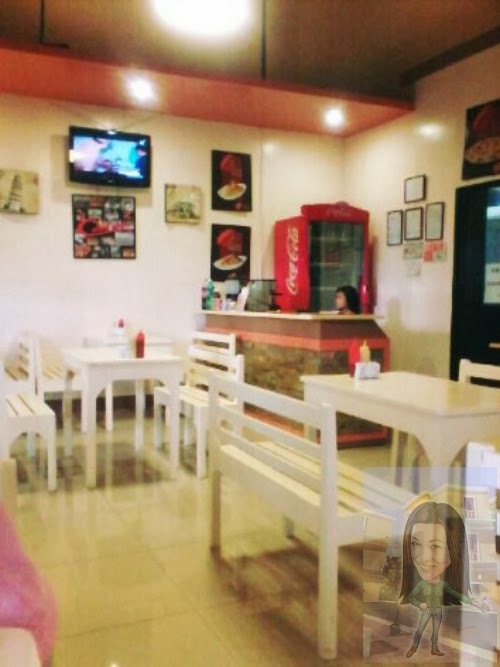 But we managed to get into, upon entry the place was so quiet and no one is around except the three of us and the four happiest group of staff at the counter. We are greeted by the staff and handed us their menu. 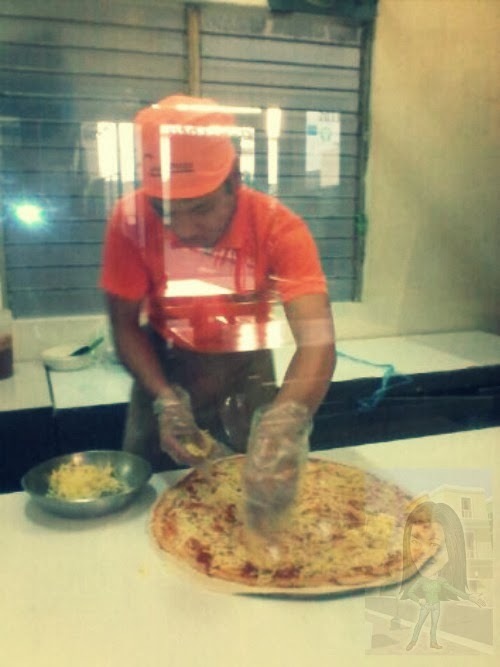 I ordered the PALMA Pizza(Tomato sauce, Mozzarella cheese, Fresh garlic). I choose the XL size pizza and it cost PHp 385. 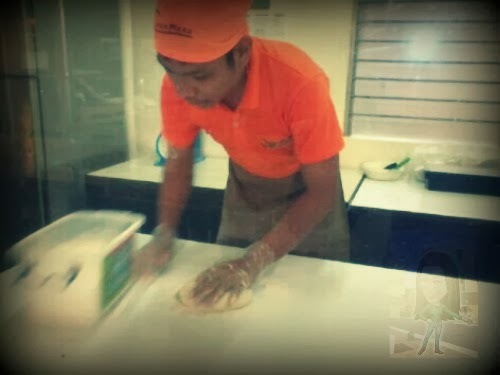 What I like about this place is that you can watch how your pizza was being made and cooked. In a minute, the star had arrived. 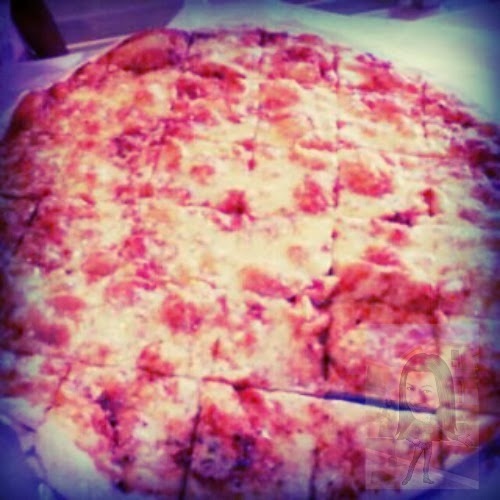 A thin crust pizza, Italian inspired, mozzarella dripping big-sized pizza on top of our table. 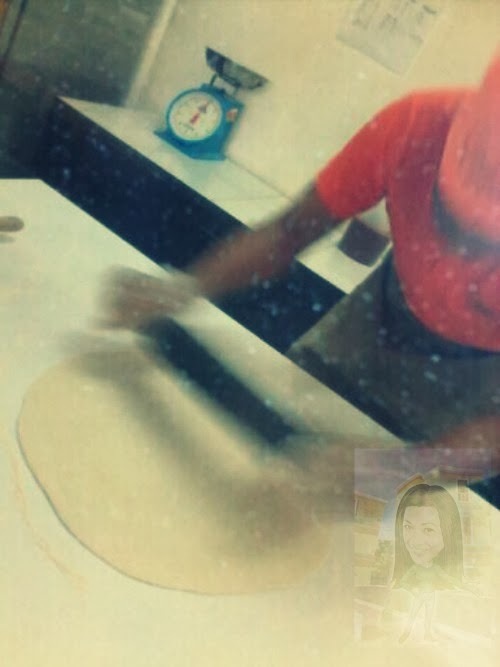 We are not hungry but we love to eat pizza! 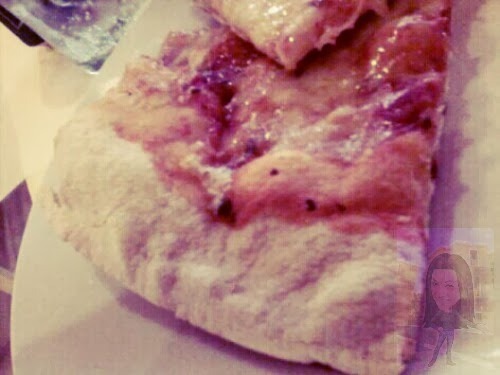 The pieces of pizza take up about 3 plates if they're not cut into squares. 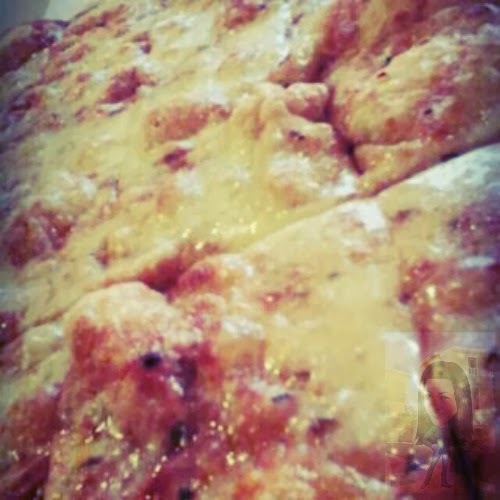 The crust was so good and soft, the cheese they use is awesome and the ingredients were fresh you can see it on the texture of the pizza and when you taste it. Well frankly, I didn't have high hopes with the discernment of the pizza because I already figured out the novelty of the size was the most people came to see and experience. However, I will give 5 stars for the sauce they used it was very good and I am amazed with the taste, I guess they used new sauce comparable from the past pizza experience I had with them a long time ago. Our cravings of pizza has been fulfilled and this being the closest place we had, great spot of pizza indeed and we are lucky enough to live down the street from here. 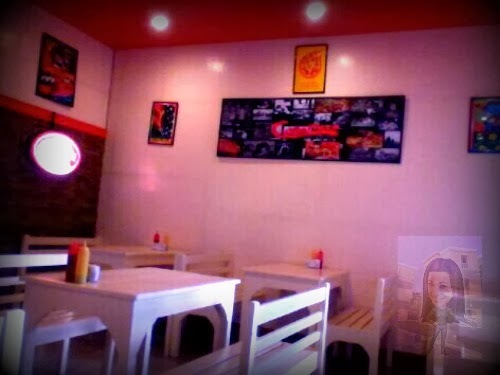 I will recommend this place if you are feeling like on a "TAKAW MODE" of pizza. 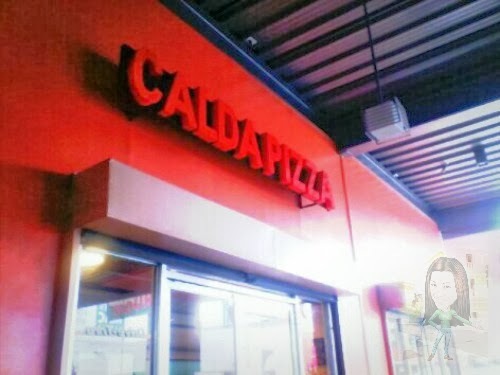 Now you think that only big pizza was more than enough food they serve. 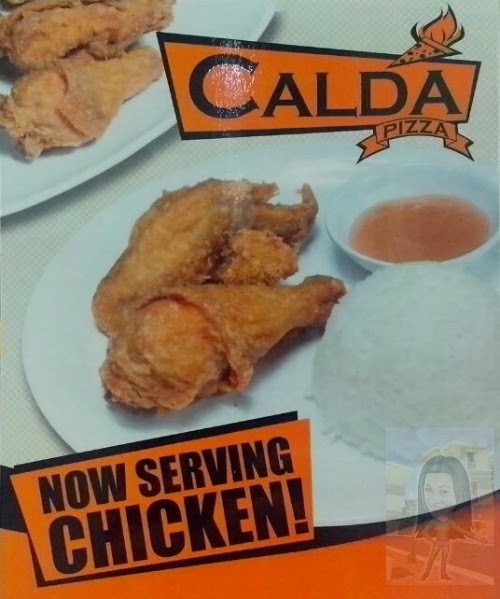 Not in CALDA PIZZA, they serve RICE MEAL with CHICKEN now! 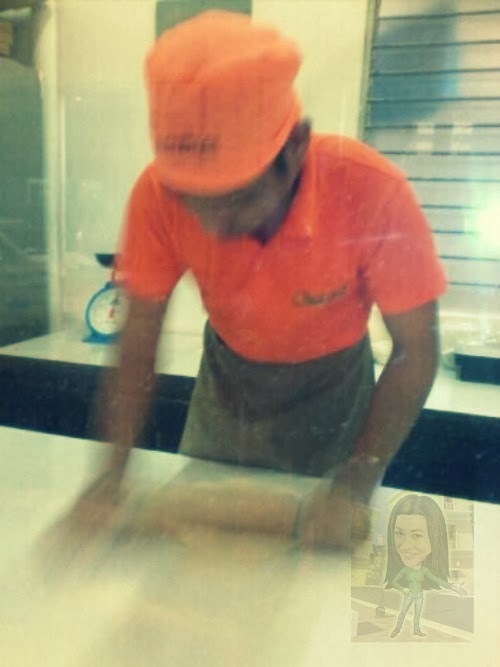 looks really yummy!!! 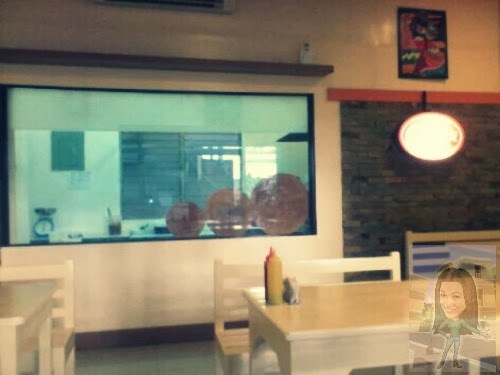 i will definitely visit this place the next time we go to Davao..
Actually I liked pizza so much, especially this size and with coca cola of course. Nice thing to do is to order another one! How many flavors of pizza are available on the menu? 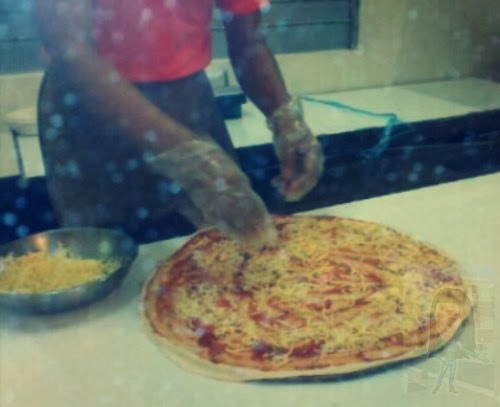 Can customers choose to have like two or more flavors and toppings in one pizza? 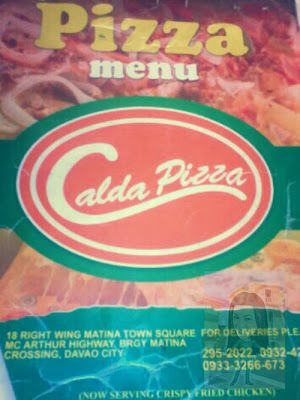 There are so many flavors of pizza in the MENU, I did not include it in my post since I only ordered for the PALMA pizza.